Hinge CEO Justin McLeod has been interviewed on Cheddar to discuss the app’s recent redesign. The interface now includes brighter illustrations, bolder fonts and rounded corners to encourage users to embrace their unique personalities. 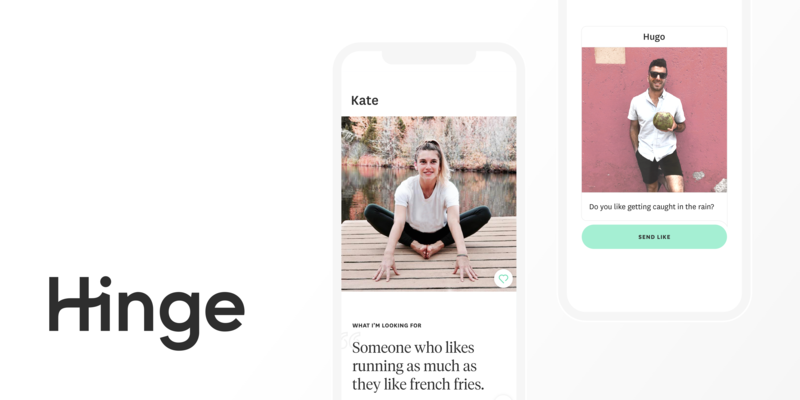 Hinge is also trying to counter the gamification of dating by emphasising its mission as an app that is “Designed to be Deleted”. The updates have mostly been subtle ones, such as changing the delete button from red to grey so users don’t feel bad about breaking up with the app once they’ve found a partner. He continued on to explain that the number one way new users come to the app is through word-of-mouth. Therefore, making sure Hinge is as effective as possible will ultimately bring more singles to the app. Match Group acquired 100% of Hinge in February and McLeod said the company had been an incredible, collaborative partner that are big believers in the relationship-focused vision. McLeod concluded the discussion by suggesting that Hinge is looking to integrate some form of live video within the next year.